Is Amberen a Smart Choice for Menopause? 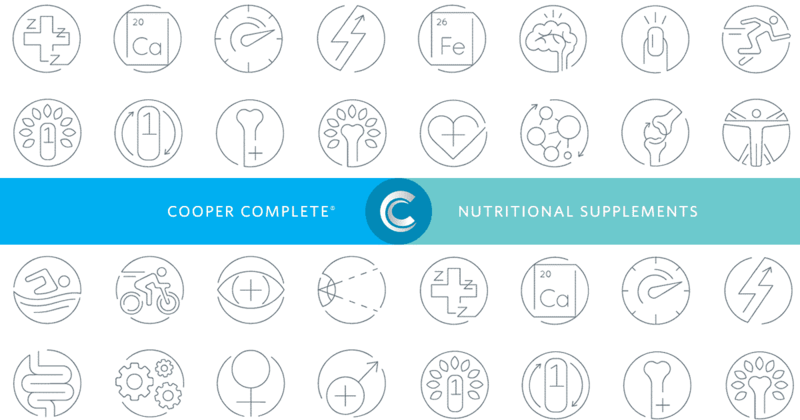 At Cooper Complete we regularly answer questions about supplements and their role in a healthy lifestyle, with questions not only limited to our products. Cooper Complete was recently asked about dietary supplements that can help decrease symptoms of menopause and whether Amberen® is a good choice. Multi-symptom relief for menopause is the main goal of Amberen as a product. Mainly, it is a combination of vitamins and minerals to treat common issues with hormone imbalances. According to the label, Amberen contains the minerals calcium, magnesium, and zinc, along with vitamin E, the amino acid glycine (from soy), monosodium l-glutamate (MSG) and ammonium succinate. Two capsules provide a total of 400 mg of the components listed above–as a proprietary blend. There is no information on how much or how little of any particular ingredient is in the product. What Does the Research on Amberen Say? Aside from a small three-week study in older women, the research referenced by Amberen appears to be based on older, female rodents (mice and rats). In the overall body of scientific research, not focused on only Amberen, one study showed that women taking vitamin E had approximately one fewer hot flashes per day. The research on soy (glycine max) isn’t definite either way. Some studies suggest soy reduces the number of hot flashes; while others show no benefit. Overall, the ingredients in Amberen do not have particularly compelling published research to support any help in preventing weight gain, mood swings, irritability, low energy, occasional sleeplessness, difficulty concentrating or other unnamed menopausal symptoms. The ingredients found in Amberen are also found in many other foods and nutritional supplements. Getting healthy amounts of these foods can provide numerous benefits and protect the body against symptoms of the aging process. Lack of sleep makes you more prone to stress, anxiety, and anger throughout the day. A study by the National Institutes of Health (NIH) found sleeping less than seven hours per night increases the risk of obesity by 30 percent. At Cooper Complete we recommend the naturally-occurring hormone melatonin for sleeplessness. Melatonin helps regulate the body’s natural sleep cycle and is a non-habit forming alternative to prescription sleep aids. Different from Amberen, we offer a Quick Release Melatonin, formulated to help those who struggle to fall asleep while our Prolonged Release Melatonin is targeted to help people stay asleep through the night. Menopausal women often experience increasing fatigue and decreasing metabolism. However, daily exercise can ease these symptoms. Regular physical activity and a healthy diet provide many health improvements. Specifically, these two activities help improve mood, reduce stress, increase resistance to most diseases and improve overall health. A Cooper Complete Healthy Body Pack is a viable supplement option for an active lifestyle to help meet the nutritional demands of increased physical exertion. Our pack offers omega-3 fatty acids that have shown to be associated with reduced levels of depression and to improve heart health. Magnesium, one of four minerals in our pack, increases the body’s ability to create energy for the muscles throughout the day and helps with sleep. Compared to three vitamins in Amberen, our one-a-day multivitamin contains eleven vitamins, including vitamin D, which low levels are associated with depression and healthy levels can improve immunity. Supplements such as melatonin and magnesium can help improve sleep quality as research shows their many beneficial effects on sleep. There are many factors that can hinder a balanced diet, especially for older adults. These issues can limit the ability to obtain some of the best vitamins for seniors from diet alone.